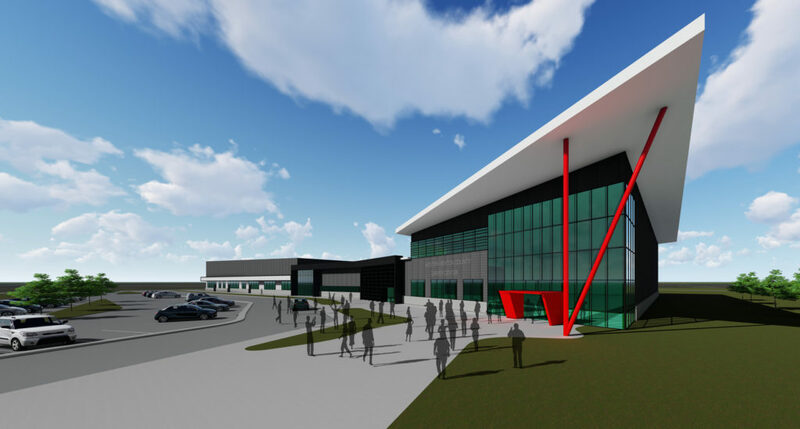 We worked with a handful of School Districts in Northwest Arkansas on the Conceptual Design for a potential shared Career Center Educational facility. We have produced rendering concepts in presentation format of the exterior of the building, floor plan layouts, and Site Plans. We searched for design inspiration during the Charette process striving to create a World Class design as a goal set forth by the end users. We wanted to create spaces that Students were proud to learn in and attend classes in. The programmatic spaces included Automotive Technologies Lab, Welding Lab, Construction Technology Lab, HVAC Lab, Manufacturing/Mechatronics Lab. There is also a Professional Studies portion of the building that included Computer Engineering, Medical Professions, Education Innovation, Digital Design Photography, and Digital Media. We strived for design with transparency between the areas of study by incorporating shared Classrooms and Communal Learning Spaces and work areas. The Design included presentation/Lecture Rooms as well as a large Commons Space used for multiple functions.